Harm in many institutions, industries, and communities has been bubbling to the surface with urgency and frequency. Though some of it is more recent, many people have been vocal about the need to reimagine the ways that we build care and community for years— decades. In the face of the so much harm, within the herbal community and outside, it can sometimes feel overwhelming. Disheartening. As a queer herbalist, working on a sliding scale, and committed to healing and social justice, I’ve often felt a little like an outsider in the more “mainstream” herbal community. However there are so many brilliant herbalists, and people doing healing work, that are weaving more entangled, interdependent, accessible and accountable models of care. I’m so excited to share the brilliance and wisdom of 4 herbalists who help keep my heart and mind awakened and inspired. 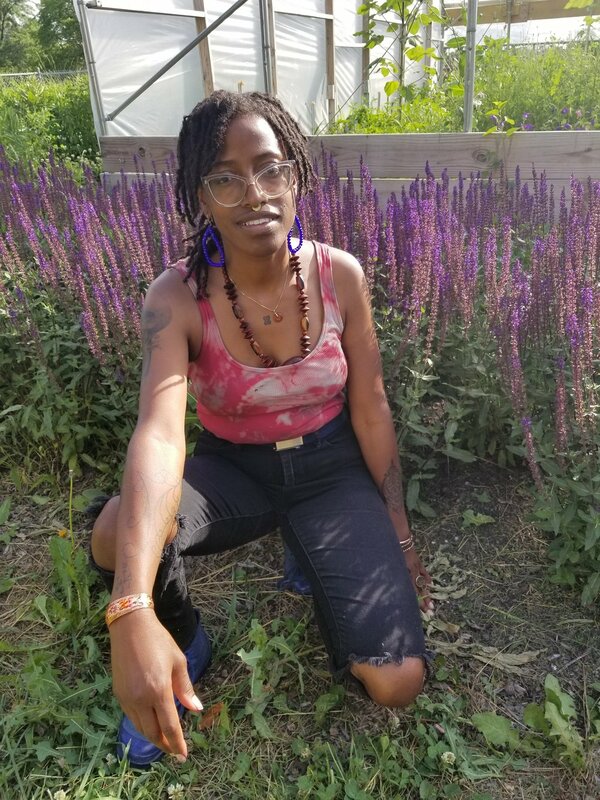 Herbalists I look to for solidarity, for revolution, for inspiration, for reimagining justice, for centering and caring for so many people often pushed to the margins in our medical and healing systems. Each brings their queer & trans, BIPOC, disability, healing, racial, and social justice revolutionary dreams to plant tending, medicine making, and community building. And this is only just a few: there are so many people out there doing this work. May these beautiful spirits reinvigorate your connection to hope in times of so much hopelessness! You can click on each image to read about how they relate to their work, themselves, the land, oppression, healing, ancestors, bodies, their communities, and so much more.